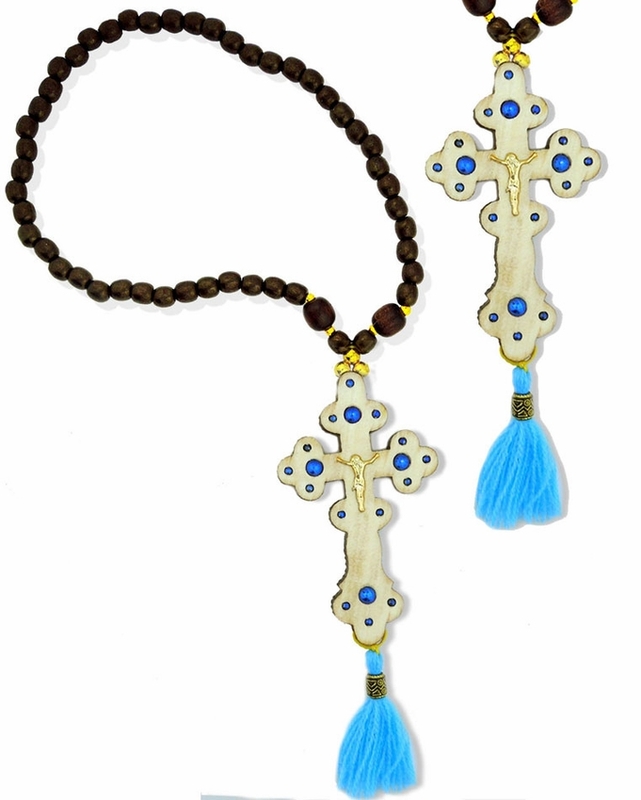 Reversible Wooden Cross with beads for car and room decoration. Corpus Crucifix on front side and "Save Us" on a back side of the cross. Total length 13", Cross Size: 3 1/2"